I had been thinking about purchasing a fitness tracker for about a year. I wanted to be able to keep track of my daily activity level and make sure I was moving toward my fitness goals. Plus, I wanted some extra motivation during the day. As I mentioned in my May favorites post, I purchased my Fitbit around the end of March this year. That means I’ve had it for a little over two months and I think it’s the perfect time for a review. Before jumping into my review I want to go over the parts and features that the device comes with. The Fitbit Flex comes with the tracker, two wristbands (large and small size), the charger cord, and the wireless sync dongle. 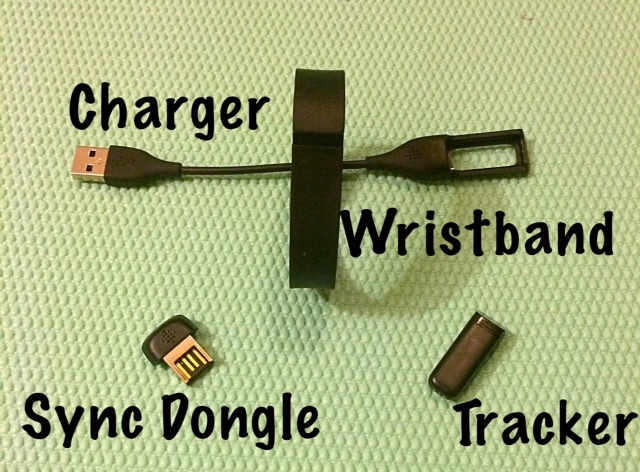 The tracker itself is a small device that is placed inside of the wristband to be worn.The sync dongle can be used to sync the tracker with your online dashboard via a computer. I never really use my dongle because I use the free smartphone app to do my syncing. When it comes to the Fitbit Flex’s features there are many. Like allowing you to track your daily activity. The Fitbit keeps track of the number of steps you’ve taken, the distance you’ve walked, the number of calories you’ve burned, and the number of minutes you’ve been active. A daily goal for each of these things can be set. The device also tracks your sleep by keeping track of the number of hours slept, times you wake up during the night, and the quality of your sleep. There is also a vibrating silent alarm for a more gentle wake up call. Now that you know a little about the Fitbit Flex let’s go over what I feel are the pros and cons. 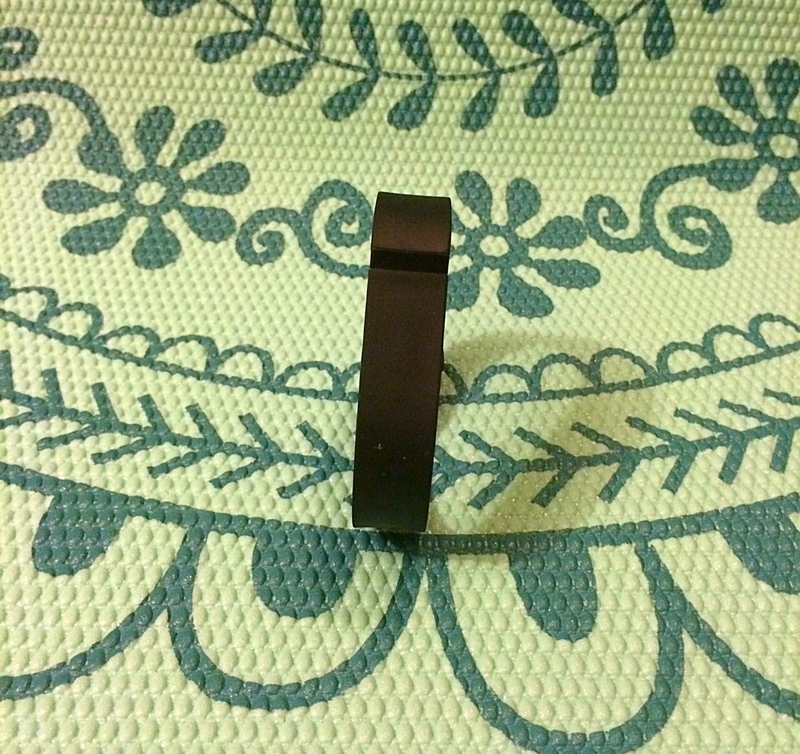 The Fitbit Flex is waterproof and the box even encourages you to wear it in the shower. I don’t do that, but it’s nice to not have to worry about the device in the rain or while washing dishes. I love how small the Flex is because it can look neat and professional or fashionable and trendy. It blends in with accessories well. The app and dashboard are simple to navigate and understand. A full battery on the Flex last seven days for me. The charge time is also pretty quick. I’ve never timed it exactly, but it’s normally about an hour. The active minutes feature is based on the amount of time you spend doing strenuous activities. According to the Fitbit website, “You earn active minutes for activities at or above about 3 METs. To stay in line with the Center for Disease Control’s (CDC’s) ’10 minutes at a time is fine’ concept, minutes are only awarded after 10 minutes of continuous moderate-to-intense activity.” This makes the device great for tracking your cardio workouts, but it would be nice to be able to track workouts that aren’t cardio based. I understand that the Fitbit can’t track every movement I make. The Fitbit dashboard tracks so many parts of a fit lifestyle. I think it would be nice to be able to include the other forms of exercise I do even if I have to manually fill them in. Another problem I have with my Flex is that it sometimes goes into the sleep tracker mode during the day. I’m not sure if that’s an issue with my device or what. It’s not a huge issue, but it’s pretty annoying. Overall I’m happy with my Fitbit Flex. It tracks multiple aspects of a fit lifestyle in an accurate and easy to understand way. My two cons are things I can live with and don’t negatively impact my experience with the device too much. 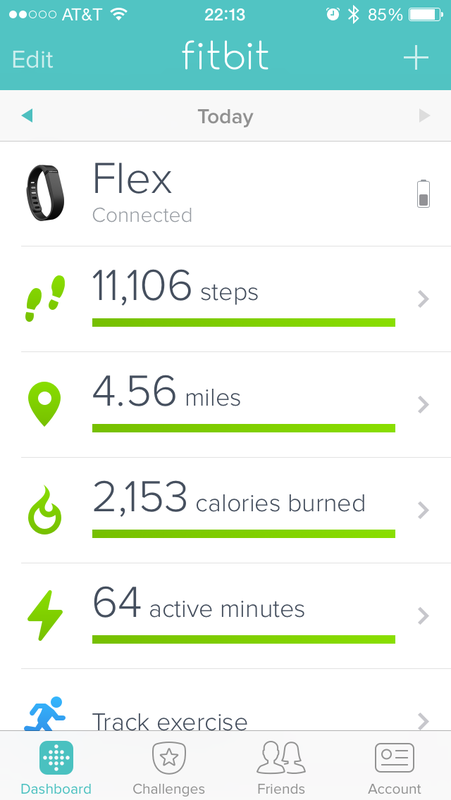 I would definitely recommend the Fitbit Flex as an activity tracker.